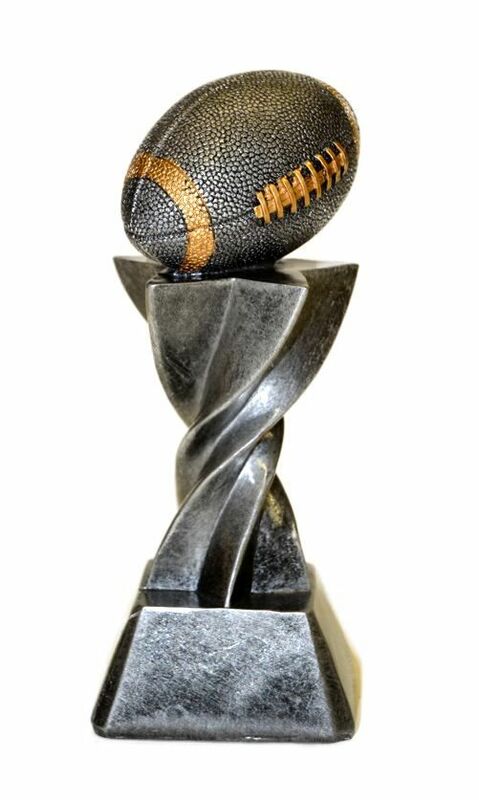 The Cyclone football trophy stands 7 inches tall. This is a great trophy for your leagues winner, runner-up or basement dweller. 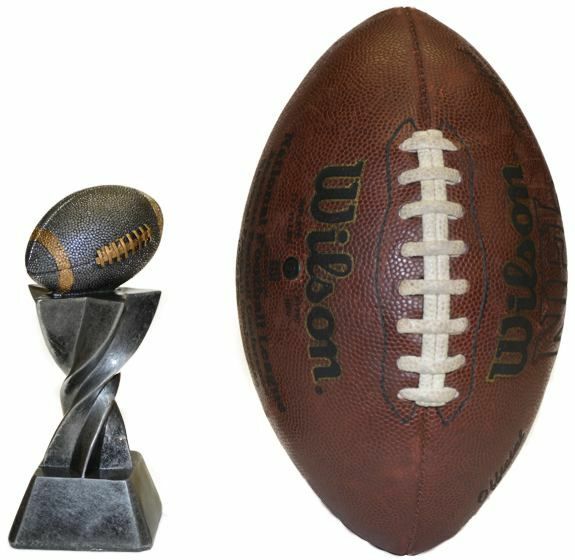 The 2nd picture above shows this trophy in front of a regulation size football for size comparison. Thank you very much for your professionalism pertaining to my fantasy football trophy order. I had my receipt within minutes once I purchased my trophy. Within 24 hours I had my tracking info and within the week I had my trophy. I will recommend your site to anybody who needs draft or fantasy items!!! I will Be ordering my draft kit in June!! Is there a place on your site to post this?